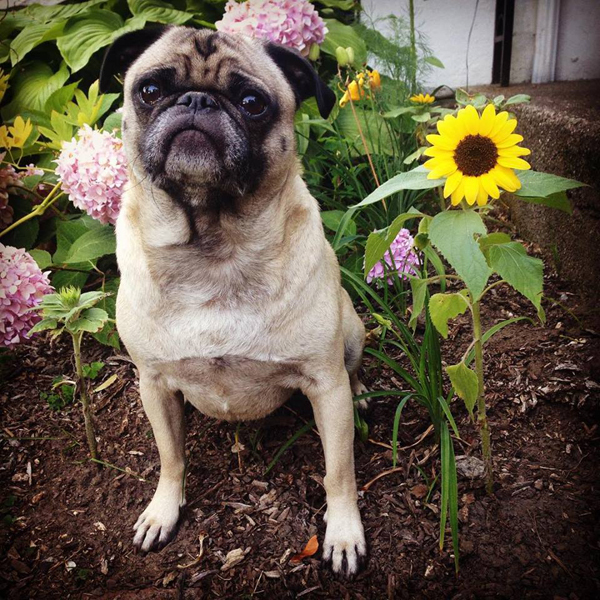 ljcfyi: Giant pug or tiny sunflower? Giant pug or tiny sunflower? Giant pug or tiny sunflower? You decide.